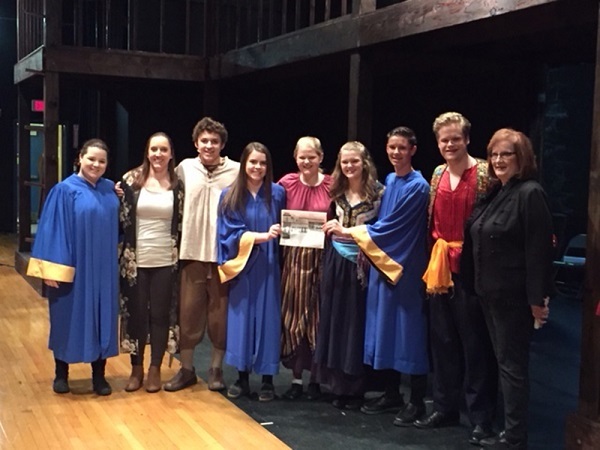 The North Platte, Nebraska First Methodist Church Youth took the Quill along to their performance of The Hunchback of Notre Dame. Included in the picture are the Director, Mrs. Leah Purdy and the Accompanist, Mary Lynn Horst. When you go on a trip, take "The Quill" along, and have your picture taken with it, and send it to us. Let's see where all "The Quill" can travel.